Please visit out delivery page for instructions on deliveries. As an active community we are unable to take calls, so please use the contact page to make contact with us and we will endeavour to get back to you ASAP. We do not store any credit card details on our systems, however we do use a secure certificate to record your address details, we then pass them over to PayPal and at which point you pay for your order through PayPal. You do not need a PayPal account to checkout with us. You can also choose to collect from the Alton Abbey, or arrange parcel collection. 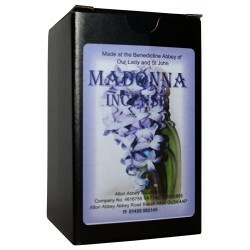 We are pleased to offer our incense to cathedrals, churches, chapels and retreat houses. The company is wholly owned and managed by the Anglican Benedictine community of monks at Alton Abbey (The Order of Saint Benedict at Alton Abbey is a Registered Charity no. 229216). This work has been a part of the community’s witness and work since 1980. For thousands of years incense has been used in liturgy and worship with monks of all persuasions involved in its production. 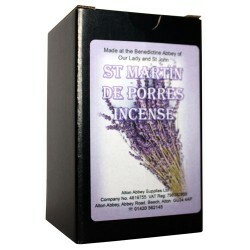 Here at Alton the monks have supplied a range of incense grains for ecclesiastical use since 1895, using blended aromatic gums and flower oils from around the world. 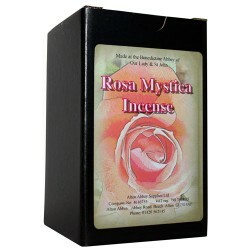 Recent production has focused on Rosa Mystica, a sweet scent of traditional blooms, now appreciated internationally. The production of incense at Alton Abbey is in full swing, we have now switched to using this online website to take orders for one off orders and for our customers that buy in bigger bulk as well (trade/wholesale). If you have a question then please use the FAQ page first to see if that has the answer you need, if not use the contact us page to send us a message. 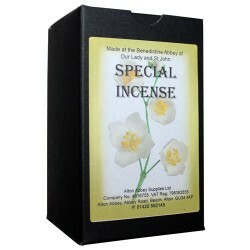 You can now buy all the incense’s that Alton Abbey produces or you can buy a sample pack to try and find the one for you. We are currently adding shipping to other countries on a case by case bases, this can be down to cost, location and import restrictions into your county as well. Use the contact us page to send us a message.